This was a weekend of marathons. And no, I didn’t do an ounce of running. Instead we watched the Star Wars trilogy in preparation for seeing the new film tonight (no spoilers, please) and got hooked on a new Netflix show: Making a Murderer. If you haven’t seen the latter, prepare to be consumed. We could barely tear ourselves away in order to accomplish normal life activities like showering and grocery shopping. But now we’re headed into the merriest of all weeks and our cheer is mounting. Every day we have a bit of celebration planned whether with family, friends, or coworkers. So this is one Monday I really don’t mind. 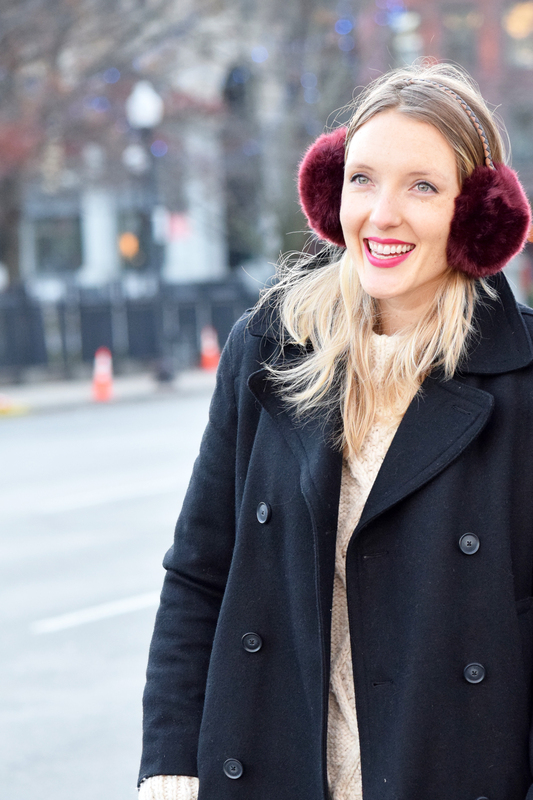 The dip in temperatures over the past weekend gave me a perfect excuse to pull out these faux fur earmuffs and try out my block heel loafers. 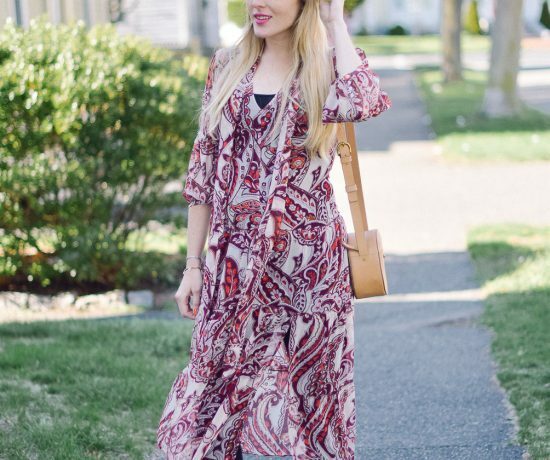 The pops of burgundy offered an elegant contrast to the minimalist look. With an oversized fisherman sweater and men’s pea coat, I felt a bit Katherine Hepburn-ish taking a twist on menswear.